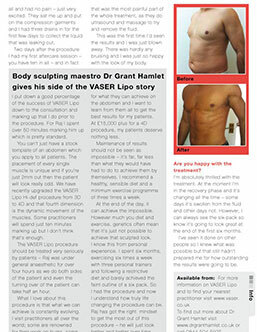 The Hamlet Clinic Training offer both one-on-one mentorships and group training to professionals who would like to learn VASER Liposculpture techniques from basic to advanced levels. Trainees are able to access training videos, live footage from procedures and the opportunity to film their own training and reflect upon this later. This standard of training leads to high quality outcomes because it allows the doctors to interact with other surgeons, reflect on and analyze their own practice and it provides a resource bank as a reference point for best practice. These unique training programs have been developed by Dr Hamlet through his passion for training others. 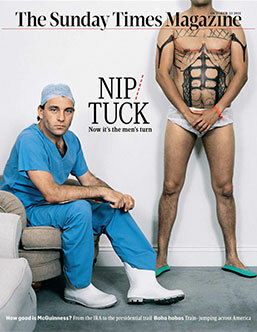 Dr Hamlet’s goal, at all times, is to improve the results and care of all patients who undergo a VASER Liposculpture procedure. 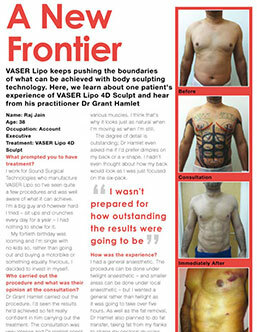 Sound Surgical Technologies, the creators of VASER, have appointed Dr Hamlet as their official European trainer for all levels of VASER Liposculpture (standard, mid def, Hi Def). 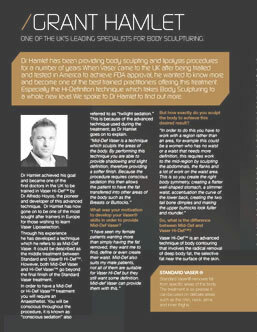 Dr Hamlet is the also the only trainer for the revolutionary VASERsmooth cellulite treatment outside of the USA. Dr Hamlet works closely with both the manufacturing and engineering teams behind the VASER technology to improve the practical application of existing technology and to develop new equipment. 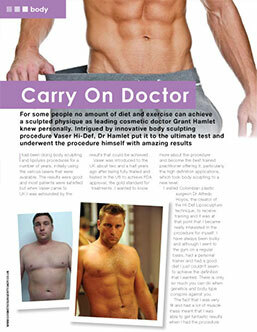 Dr Hamlet has assisted with setting guidelines and protocols for usage of equipment. These usage guidelines form the basis foundation of the training programs Dr. Hamlet has developed so that others can then go on to use these technologies safely and effectively. For more information about our upcoming training opportunities please contact us.